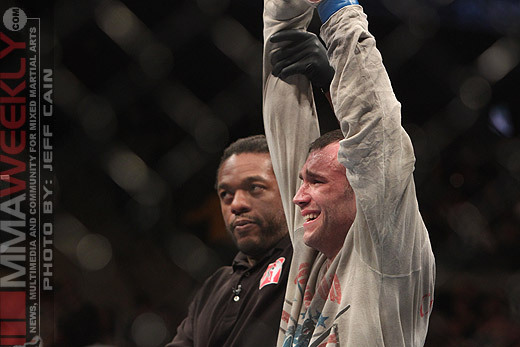 Brian Foster has been forced out of UFC 129 in Toronto after a pre-fight medical scan revealed a brain hemorrhage. Foster was set to face Canadian Sean Pierson in a welterweight bout on the card. Foster first confirmed his condition on his Twitter account on Tuesday. MMAWeekly.com later confirmed the news with his manager, Marc Fiore. According to Fiore, a pre-fight test revealed that Foster had a blood vessel in his brain that was leaking and led to a brain hemorrhage. 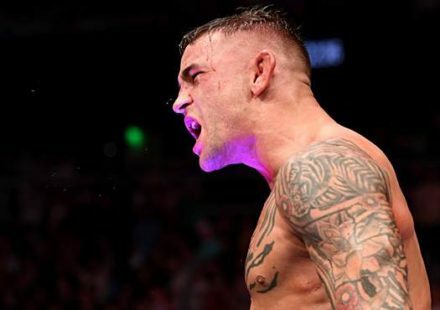 The hemorrhage is not believed to be serious, but because it is present, Foster could not be cleared to fight at UFC 129. Foster will sit out for the next six weeks and then go back in for another test to see what the next step will be in his recovery. A brain hemorrhage can vary in the degrees of severity and can require anything from surgery down to just medication to reduce swelling in the brain. Fiore doesn’t believe Foster’s condition will require any serious medical attention, but he will have it followed with close medical supervision. There’s been no official word from the UFC about Foster’s removal from the card or a replacement to step in and face Sean Pierson.